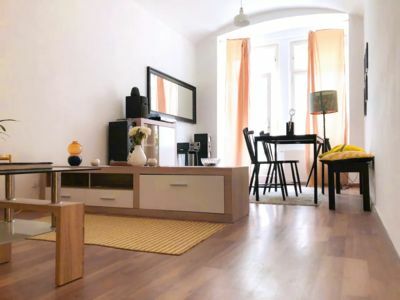 Welcome to our apartments in the very heart of historic Prague. 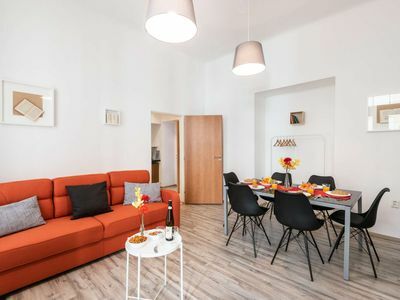 Our spacious and full-equipped apartment will be an ideal choice for groups of friends, two couples or families up to 5 persons. 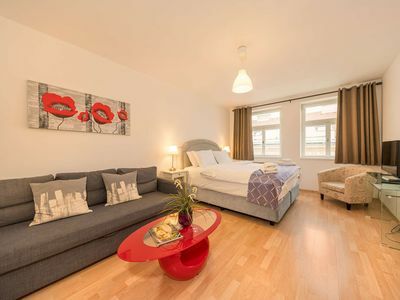 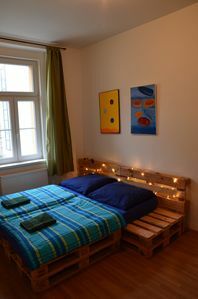 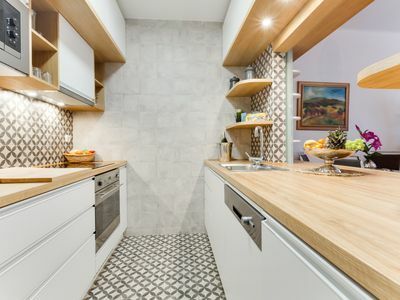 The newly renovated apartment is situated by Lesser Town Square (Malostransk nmst), Prague 1. 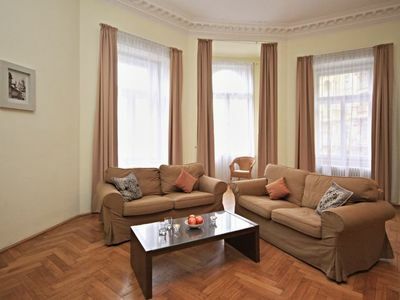 The living room is furnished with a comfortable sofa bed and cable TV, dining table, desk. 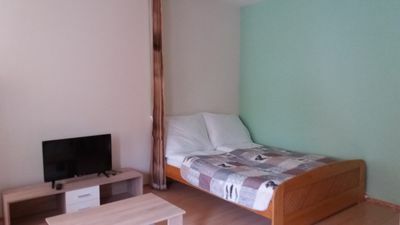 In the bedroom there are comfortable king-size double bed, pull-out sofa bed, wardrobe, desk, iron, iron board and you will find amazing view to the Lesser Town Square (Malostransk nmst) and St. Nicholas church. 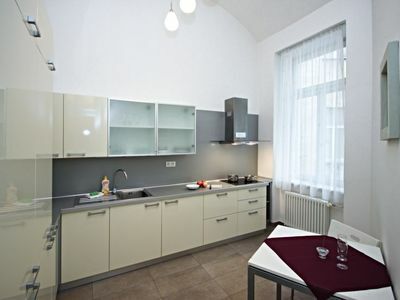 In the apartment is fully equipped kitchen with fridge/freezer, dishwasher (included dishwasher tablets for free), microwave, toaster, wash and dry machine (included detergent for free), electric kettle, black/green tea and Bosh Tassimo coffee machine (included coffee capsules for your good morning :-)). 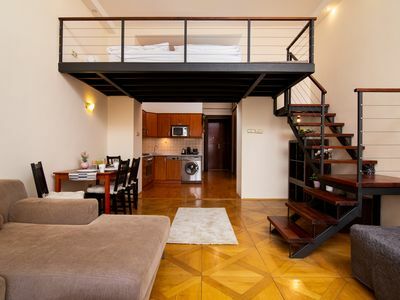 The apartment has one bathroom with shower and toilet. 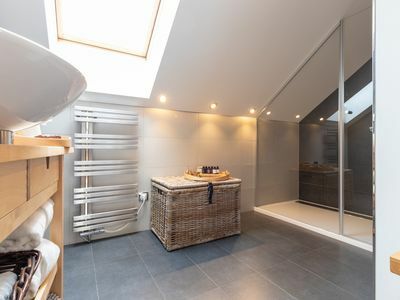 The bathroom has a selection of hygiene and beauty products that can be used when needed. 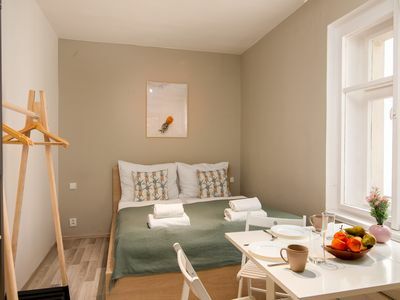 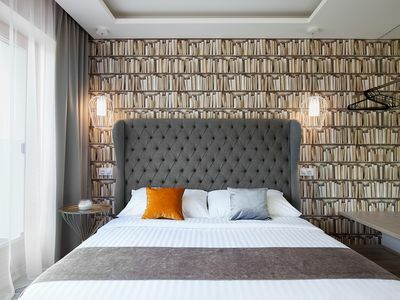 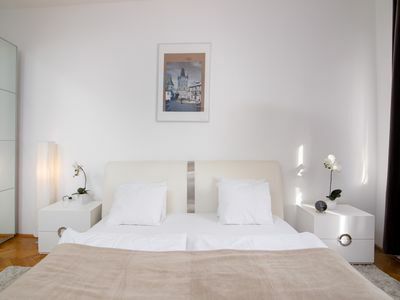 The apartment can be an ideal choice for guests, which want to explore the beauty of Pragues historical city Centre. 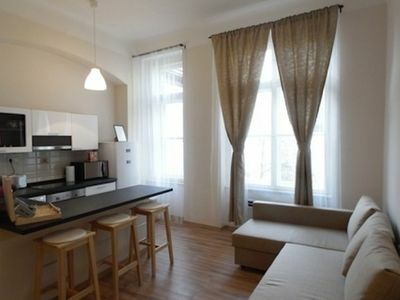 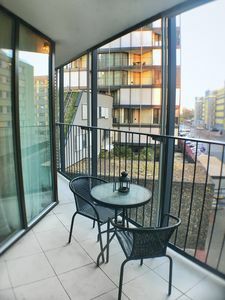 Tyrsova Modern apartment in Nove Mesto with WiFi & lift. 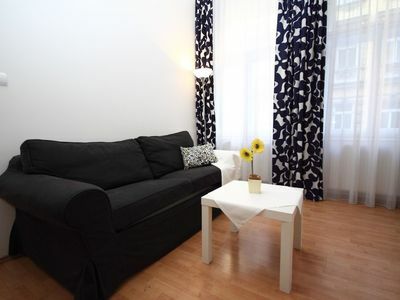 Comfortable and Cozy Apartment I.